Well with most of the country in a deep freeze I find myself looking for something a little more tropical. Here’s a drink that will warm you up inside (although most drinks will), to stave off the chill that lingers just out the front door. Shake all with ice and strain into a chilled cocktail glass. Splash with Sprite or 7UP. 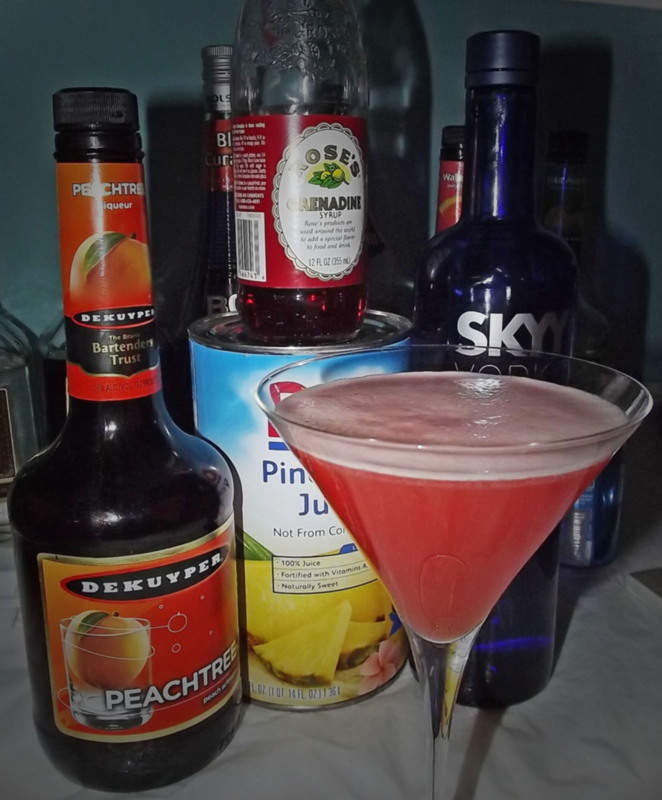 This entry was posted in Uncategorized and tagged grenadine, orange juice, peach schnapps, pineapple juice, Sprite, vodka by byocks. Bookmark the permalink.